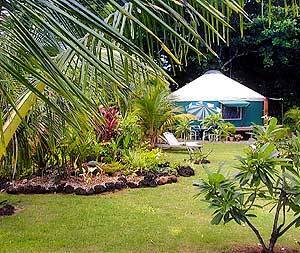 "Kimos Hawaiian Yurt", a luxury vacation rental cottage (Yurt) on the Northshore of Kauai. 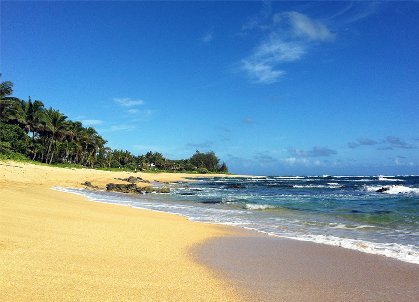 Situated in a quiet residential neighborhood , across a small coral road from the beach sits our beautiful vacation property. 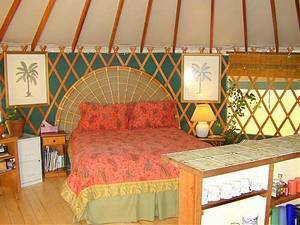 The cottage is a hawaiian Yurt, completly self contained, sleeping 1-3 persons persons. 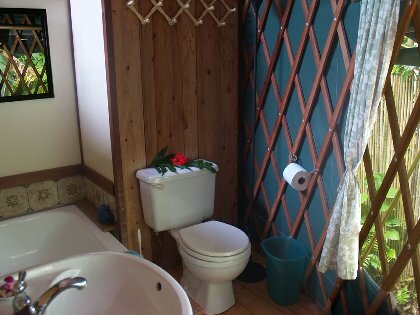 Hot tub, out door shower & beautiful tropical gardens accessable to both units. 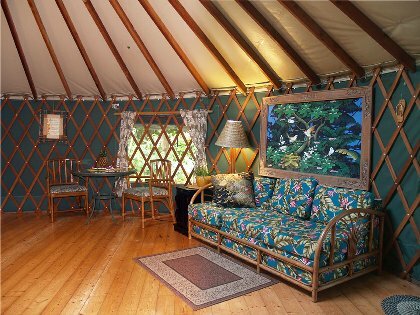 Cottage/Yurt: $700 week/$110 night; 3 night minimum. Deposit $200 / clean fee $75. Deposit: $200 deposit will hold your reservation- $75.00 of which is used for the clean fee. Deposit returned 2 weeks after your stay-providing no damages. Other Fees: $200 security deposit will hold reservation. Required Stay: Minimun 3 nights.